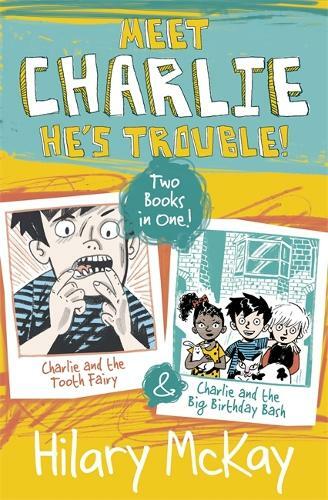 Charlie is an irresistibly funny little brother who manages to get into all kinds of scrapes. Whether he's trying to hinder or help his brother Max and best friend Henry, trouble is guaranteed! Charlie has four wobbly teeth and cannot wait for the tooth fairy to arrive. There must be some way to make them fall out quickly . . .
Why doesn't Max want a party to celebrate his birthday? It doesn't matter, Charlie is going to throw him one anyway!